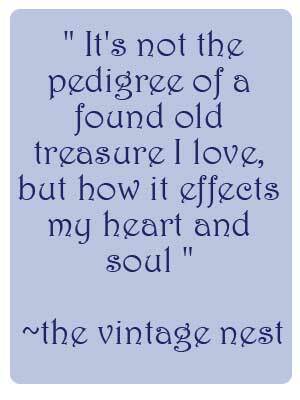 to The Vintage Nest and our weekly Share Your Style Party. This week I am sharing a picture I took the other day in the garden... Yes, Spring has definitely sprung in our area and it's just beautiful. 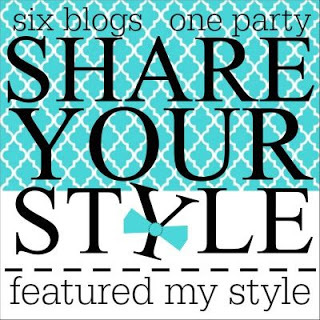 Hi, everyone and welcome to #114 of our Share Your Style Party. 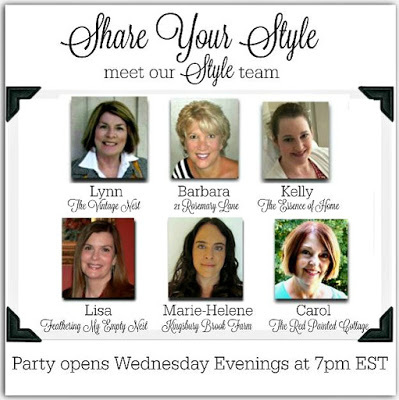 I am Lisa from Feathering My Empty Nest and I will be your host for this evening's party. Remember when you link up your post, it will be seen on all six blogs! 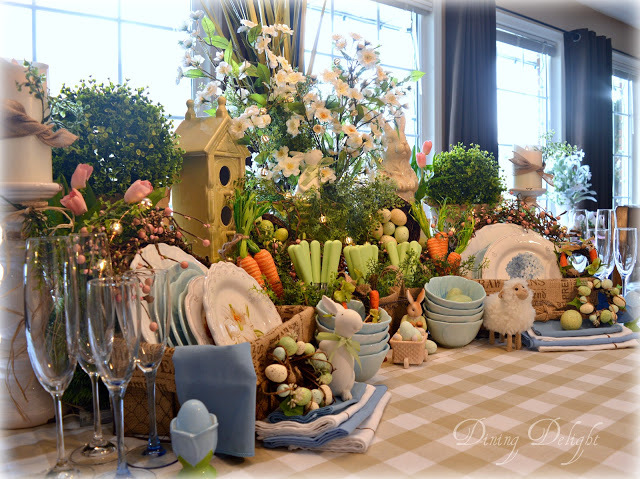 The Easter buffet shared by Lori from Dining Delight was jam-packed with great ideas and adorable details. Her artful combination of decorative elements along with the practical elements of dining really create a feast for the eye. I particularly like how she displayed her green handled utensils so that they look like freshly-harvested vegetables in burlap sacks. Easter is over and, if you are like me, you now have several dozen hard boiled eggs that you need to use up. 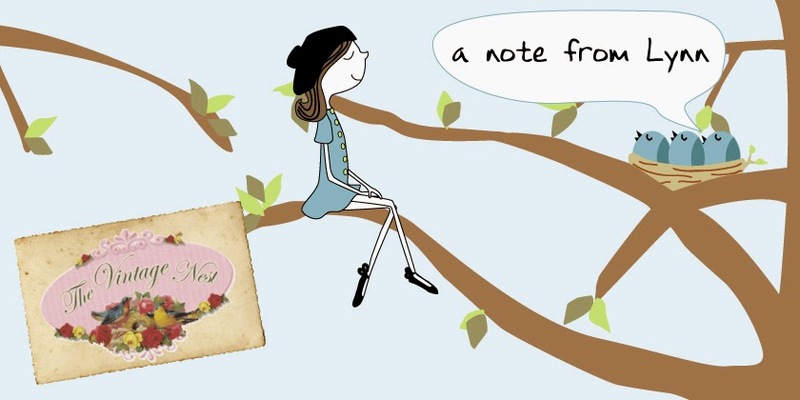 Conveniently, this link from All That's Jas answers the question of what to do with your egg surplus. 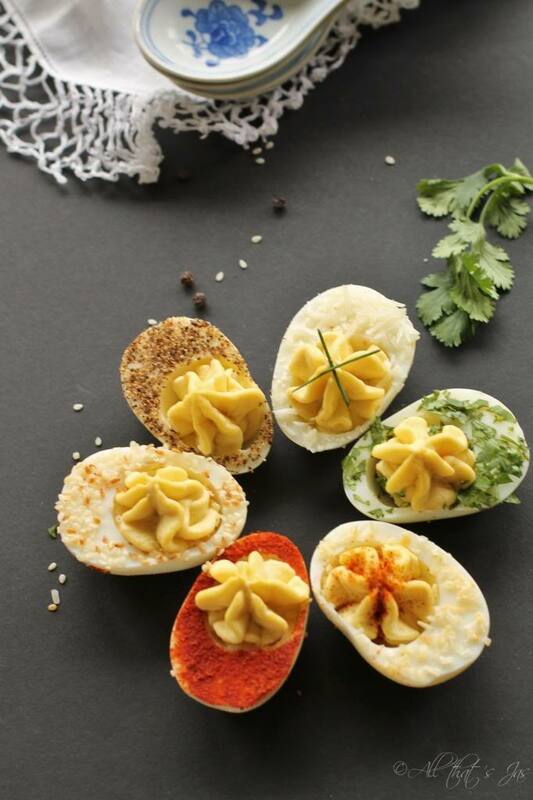 In her post, Jas shares her middle-of-the-night inspiration about how to serve these eye-catching deviled eggs with different textured and colorful garnishes. It's an egg-stravaganza on a platter! How I can possibly be interested in more food after all the Easter candy I consumed, I will never know but these Mexican Street Corn Wonton Salad Cups from Take Two Tapas totally had me salivating. 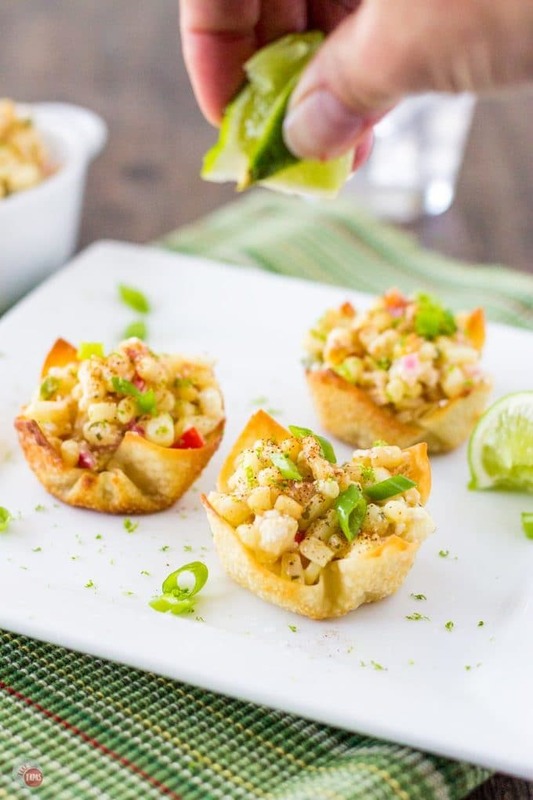 Jennifer's appetizers are quite beautiful and the recipe seems easy to follow. I think they would definitely make a statement at your Cinco De Mayo fiesta. Wooden beads are really hot right now. 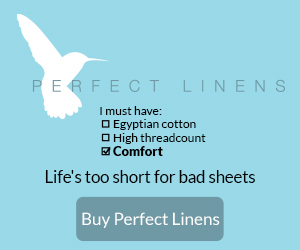 I've seen them in used in a variety of ways in tons of designer interiors lately. 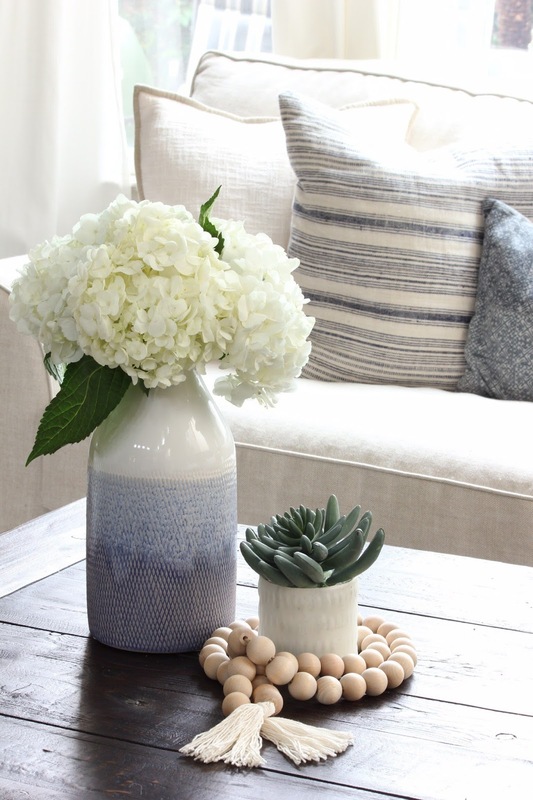 So, Laura from Meaning Spaces' tutorial on how to make this handsome wooden bead strand is very timely. Her instructions are very straightforward and I think the tassels add an elegant touch. 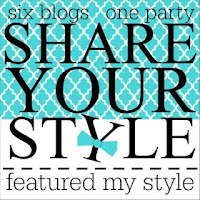 Thanks so much to everyone who linked up or visited and if you've been featured, don't forget to grab our Share Your Style Button.